So, picture this. You’re at your kids soccer game, and the worst possible thing that could happen, happens. When the whistle gets blown and a kid goes down, it can’t be good. Luckily for you, you have your trusty ice packs waiting in the cooler on the sideline. That could have been a close one. Round two: Let’s imagine that you’re about to embark on a trip of a life time. You’re definitely going to need something to keep all of your drinks and some of your food cold! Seems like the smart thing to do would be to pack a cooler with something cold and frozen. So you might not have any kids to help with some scrapes or a twisted ankle that needs help, that’s totally okay! Not everyone uses them for the same reason, so it’s not like it’s expected of you to only use ice packs for those reasons. Ice packs are universally a great product to have on hand no matter what the situation you’re in. They’re obviously great and extremely functional to keep things cool, and to keep things fresh. What better way to use an ice pack than at a company gathering, or at a family picnic! With BRAVA you can easily brand the ice pack the way you want it, with your companies logo on it! It’s easy, and it’s very stylish! As stylish as ice packs get, that is. 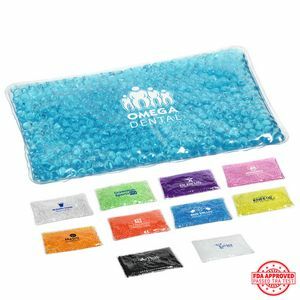 To check out all of the different ice packs available and how to customize them, click right here!